I hate throwing food out. Especially fresh fruit and vegetables. And even things that most people would toss into the bin or the compost heap without a second thought. 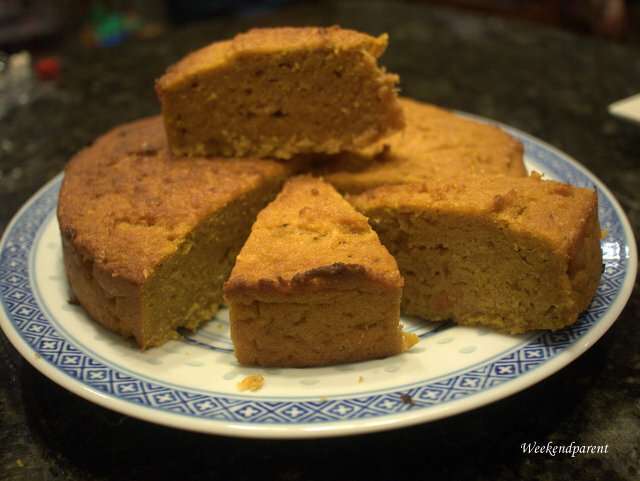 Continuing my frugal recipe theme, I am sharing my recipe for this surprisingly moist carrot and apple cake. A good friend gave me her juicer as she was cleaning out before heading off on a two years’ grey nomad adventure. I was excited to receive it, putting it to use making my favourite carrot, apple and ginger juice. Sometimes I vary this by adding fresh parsley and celery to the mix, but mostly I stick o the basics. It is such a healthy way to start the day. I don’t drink this often as it takes a bit of organisation, but when I do I always wish I did so more. Fresh juices just make me feel like smiling on the inside. Ah, but then there is the cleaning up. I was about to toss the leftover pulp into the compost, and then wondered if instead I could make a cake. I thought it would be something fairly rustic, but I was surprised at how well it turned out. The juicer grates the fruit and vegetables into a much finer texture than a hand-held grater would, and this created an almost almond-like nutty like effect. The pieces are not uniform, so I picked over them first and removed any chunky bits. Some still slipped through, and I don’t think it mattered too much. I once made it with some parsley bits in it, and it was okay too (although not as visually uniform as the carrot apple cake.) You could add a cream cheese frosting if you wanted to serve it as a more impressive afternoon tea cake. But I like the less sweet version of this cake eaten plain. And I found it was a perfect addition to work and school lunches. Given the fruit and vegetable content, I could even (almost) pretend that it was healthy. In a bowl, combine the self-raising flour and cinnamon. 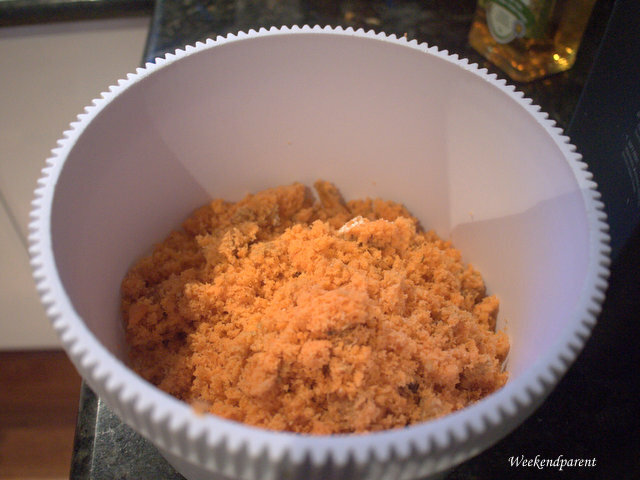 Add the pulp mixture. Stir to combine. 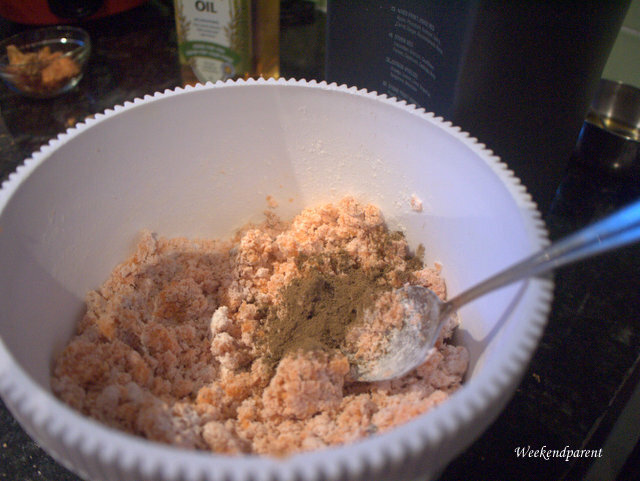 Add the sugars, then mix in the beaten eggs. Finally, add the oil and stir to combine. You might need slightly less than 2/3 of a cup, depending on the pulp mixture. Add the oil gradually, and stop when you believe that it has reached a firm yet not too oily texture. 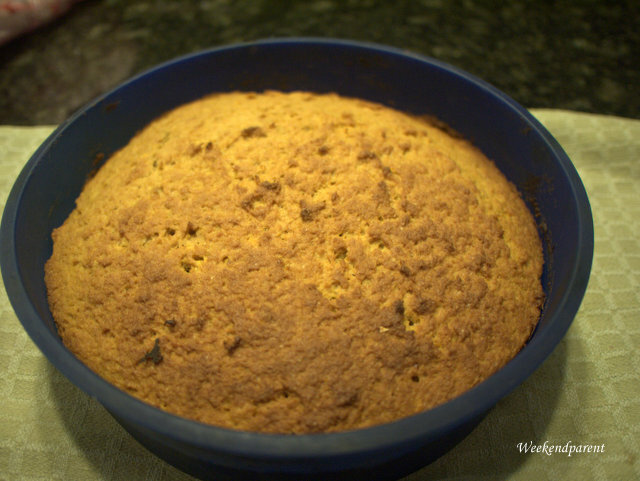 Spoon the mixture into a greased 23 cm cake tin. 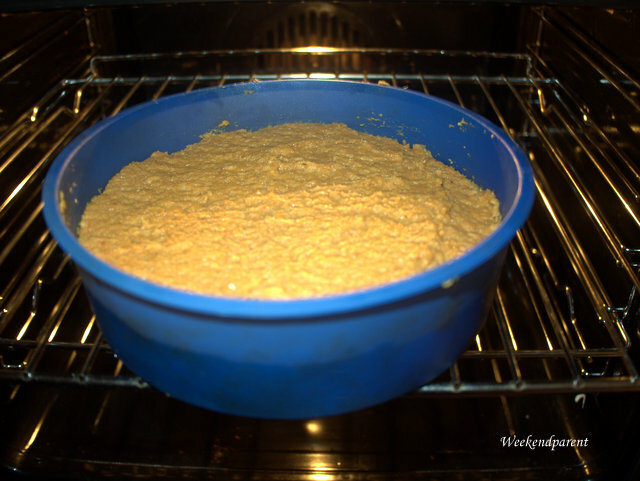 The mixture is quite heavy and will not rise as much as light cakes such as sponges. So use a spatula to level the top of the cake as much as possible. Bake for 20 to 30 minutes, until golden brown on top. I would imagine it would be easy to make a vegan version — how do you substitute eggs? Please let me know how it goes. How creative! I love recipes that dodge food waste, and love that you made this on the fly!